rest up a' while..., originally uploaded by Headphonaught. 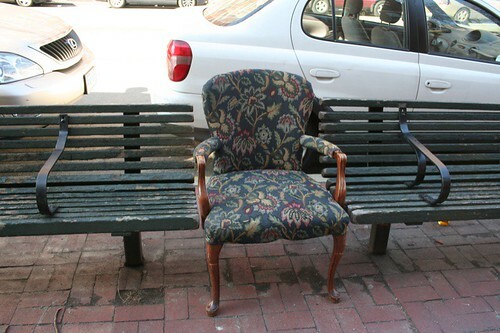 I remember seeing this chair when I was walking in Greenwich Village... and just loved it. Its for when a park bench is just not classy enough. All this sitting on my bum reminded me of it. Sweet memories... nearly 1 year ago.